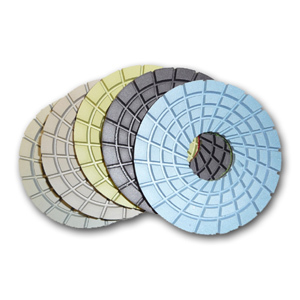 Con-Shine diamond polishing pads are formulated for polishing concrete counter tops. 5 steps allow fabricators to save time and cost. The color of these dry/wet diamond polishing pads are designed to avoid staining concrete counter tops.